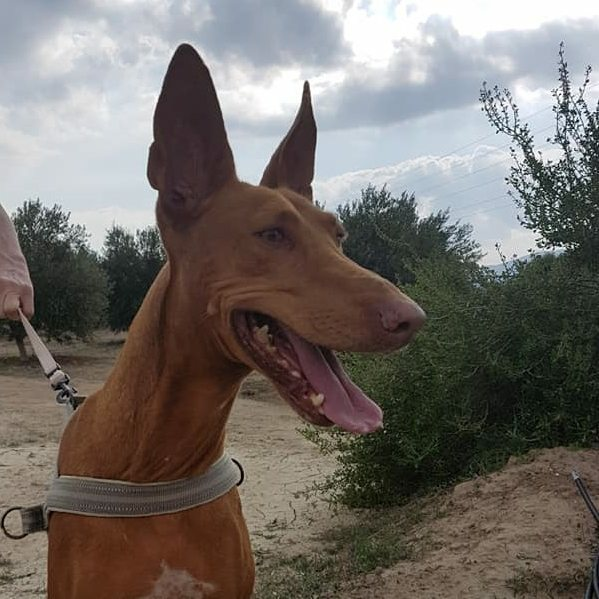 Anubis is a 6-7 year old male Pharaoh Hound. 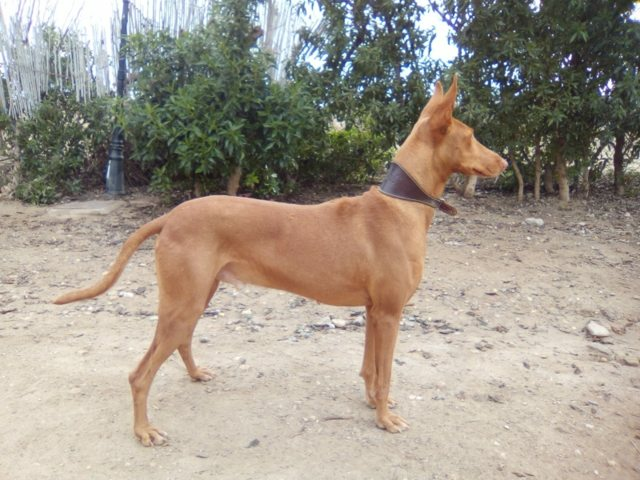 Wow stunning Anubis is a gorgeous deep red Pharaoh Hound. 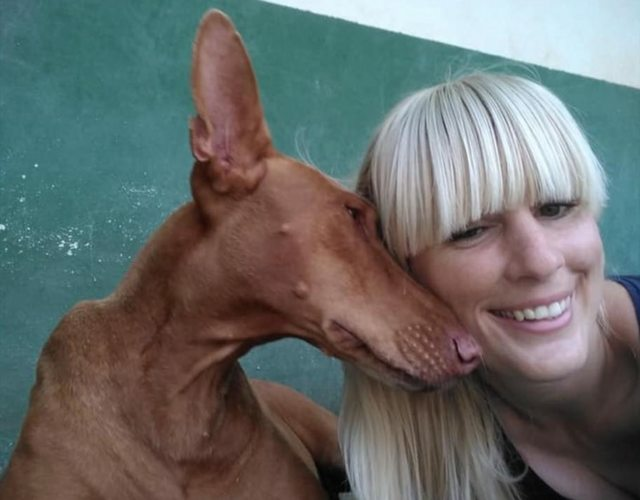 Anubis is a friendly boy, he loves people and adores spending time with his foster family and the children. He is an energetic, playful boy and he just loves attention and cuddles. 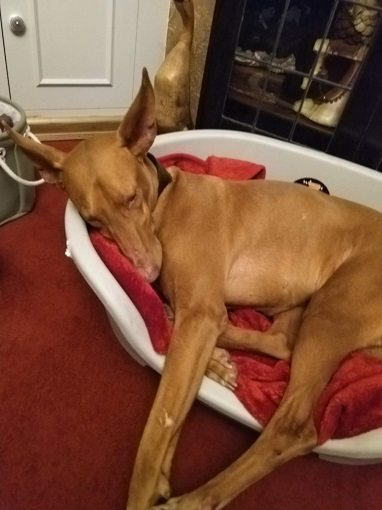 He really likes to play with toys and also with other female dogs the same size as him, hes not keen on all other male dogs, he likes to pick his friends! He is medium to large sized boy. 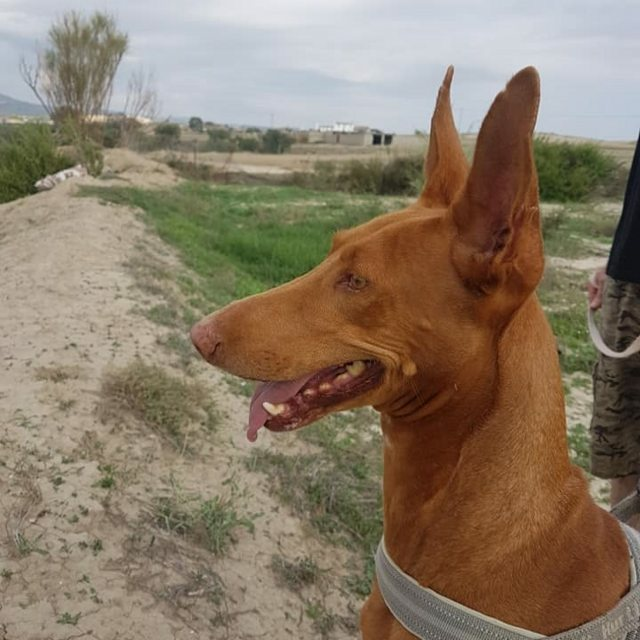 Anubis was another abandoned dog after the hunting season had finished- just left him to fend for himself. That’s our gain and their loss! Foster Report: Anubis is a wonderful boy, he settled in quickly. He loves all his human foster family and he loves his big foster sister a female lurcher they love playing together. The other little dog in the house and he are not such good friends, so either no other dogs in the house or a home with another larger female would be just up his street. He is house-trained and a joy to share a house with. 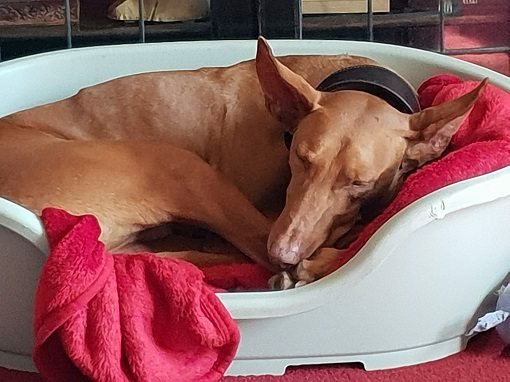 He walks well on the lead and just loves to travel in the car, if he sees a bird or squirrel he will tug to get at it so this sighthound needs to be on a longline or extendable when walking out. Looking for a rural home with a large secure 6 fenced garden – he would love it and be able to run round unrestricted then. After a busy morning playing and exploring he loves to relax and will lie in the sun for as long as he can. He just loves attention and cuddles and we know that he will love a sofa and a proper home. Anubis was abandoned by hunters when they no longer needed his services. This means that he does like to chase rabbits and other small animals, so he could not live in a home with cats or small furry animals. Everything is an adventure to him and its a pleasure to spend time with him. He his is so affectionate. He has a happy disposition, always has a big smile on his face! He loves people to bits, especially when he can get tummy rubs and ear scratches. He will make a wonderful, funny, loving addition to any home.